Russian propaganda smeared the French president-elect. Hacks threatened to derail his campaign. He may now seek revenge. Despite the wave of populism and nationalism sweeping Europe, the 39-year-old had defeated the far-right candidate Marine Le Pen by a landslide. Western liberals who had placed their hopes in the Frenchman rejoiced. But Russia was not in a celebratory mood. The French election was supposed to be an easy win for the Kremlin. Almost all the major candidates were sympathetic to Russia. They made no secret of their support for the far-right candidate Marine Le Pen, who had the rise of populism, and a terrorist attack on the eve of the election playing in her favor. Despite all of this, a pro-European Russia skeptic made it to the Elysee Palace to become the youngest president in French history. Emmanuel Macron had little to say about Russia until he decided to run for the presidency. A former Economy Minister under President Francois Hollande, Macron built a career in domestic social and economic politics. “He had no competence in international relations and had to build it up in just a few months,” says French political scientist Marie Mendras. Just over a year ago, Macron visited Moscow — at a time when EU-Russia relations were icy — and spoke in favor of easing Western sanctions on Russia. “He was not hostile towards Russia at all,” a Brussels-based scholar told The Moscow Times on the condition of anonymity. Macron, the scholar added, belonged to the French mainstream, which has traditionally been neutral if not soft on Russia. But that Macron has gone. 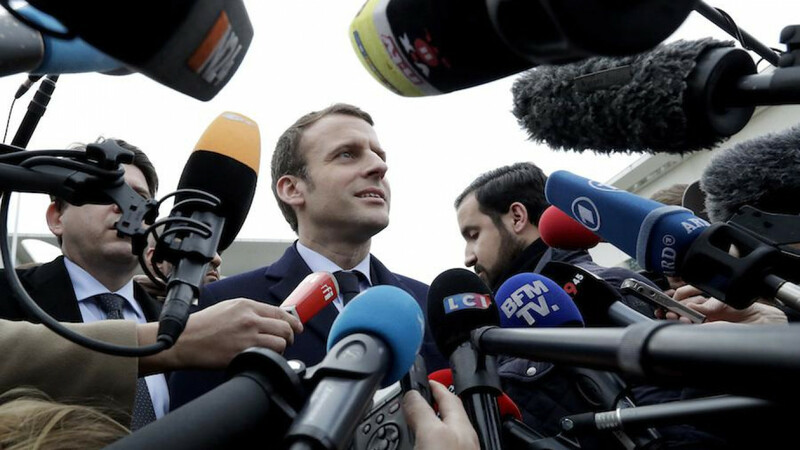 An aggressive Russian propaganda campaign against him and a hack of his campaign emails on the eve of the election have hardened the incoming French president's view of Russia. “He has radically changed his position,” says Mendras. On May 5, during a pre-election media blackout, hundreds of Macron emails were leaked. These were immediately distributed by WikiLeaks and anonymous pro-Kremlin and American alt-right accounts on social media. It wasn't long before parallels were drawn with the 2016 U.S election, when Hillary Clinton's campaign was attacked by Russia-linked hackers. Cybersecurity firms, including New York's Flashpoint and Tokyo-based Trend Micro, linked the Macron hackers to the same Russian intelligence affiliated group blamed for attacking the American Democratic Party shortly before the U.S vote. The U.S. National Security Agency (NSA) said on May 9 that it had warned French officials that Russia was hacking French computer systems during the presidential campaign. “We said, 'Look, we are watching the Russians, we've seen them penetrate your infrastructure'” NSA director Mike Rogers told a Senate Committee. The difference with the Macron Leaks and the DNC hack, was that the aim was less clear, says Russian foreign policy analyst Mikhail Troitskiy. “It does not seem sensible for Moscow to authorize an operation like this when Macron was already set to win the election,” he says. “This is not a simple pirating operation but indeed an attempt to destabilize the French presidential election,” said Macron's campaign statement following the hack. A significant part of the French public was of the same view. “There was a sort of solidarity: We will not let you spoil our vote,” says Mendras. It did not help that En Marche, the movement Macron Founded, believes it was the victim of a Russian smear campaign. Pro-Russian media has tried to discredit the centrist ever since they realized he had a chance of winning the presidency. That campaign focused on his marriage to a former high school teacher 24 years his senior. Macron's campaign team barred Russian state-funded news agencies Sputnik and Russia Today from access to its events. Russia's behavior during the French election has cost the Kremlin a potentially neutral partner. “They really blew it,” says Mendras. According to Frolov, Macron’s team believe that Russian attempts to interfere in the election “demand payback.” What form such “payback” will take is unclear, but it seems certain Macron will be tougher on Russia than Francois Hollande ever was. Even though Hollande belongs to the EU mainstream position on Russia, he was not so vocal in his criticism of the Kremlin — at the very least until the bombing of Aleppo. “Under Macron, there will be less tolerance of Moscow, particularly in the propaganda coming from Russia,” says Mendras. But the biggest change in the Elysee is a generational one. Hollande and Putin both came of age in the Cold War era: the Frenchman is only two years younger than his Russian counterpart. This was one of the reasons Putin felt relatively comfortable with Hollande, despite tensions with the EU. Macron will soon become the youngest French leader since Napoleon. Seventeen years in power, and counting, the Russian president is unlikely to warm to fresh, charismatic politicians — either at home or abroad. “He will irritate him with his youth and smart moves the way Obama did,” says Frolov.